Cylinder: The new cylinder has an unchanged bore and stroke (47/48.95mm) with new ports to improve performance and response. Additionally, it is designed around an all new power valve system. This system controls both the exhaust valve and the sub exhaust port for significantly improved power, torque and controllability. 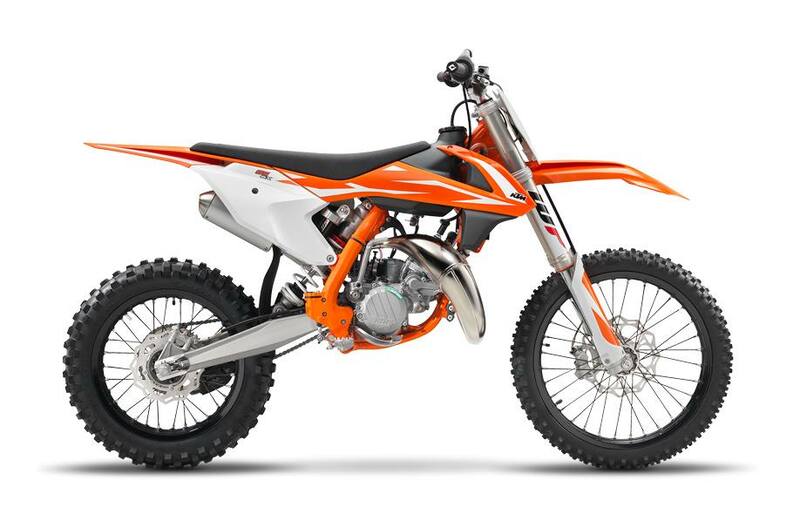 As a result, the KTM 85 SX receives a significant increase in mid-range performance reducing the need to use the clutch in loamy or sandy conditions. An adjuster screw allows the opening timing of the power valve to be adjusted to suit rider preference and track conditions and by changing between different power valve springs (available in the KTM PowerParts catalog). Exhaust System: The new exhaust system is perfectly suited to the engine’s power characteristics and contributes to the outstanding performance and rideability. The pipe is made in a 3-dimentional stamping process by WP Performance Systems. Once the components are shaped they are robot welded to ensure the highest level of quality and durability. The new silencer is 50mm shorter, improving mass centralization. Subframe: Made from lightweight aluminum, the new subframe features a shorter and more compact profile. It is now 75mm shorter and 0.5 lb lighter, which not only contributes to the overall weight reduction but also improves mass centralization. Front Suspension: Up front, the WP AER 43 consists of a split fork design using a capsuled air spring in the left leg and the trusted oil damping system in the right leg. The new components offer a significant improvement in suspension performance with a reduction in weight of 2.2 pounds and an increase in wheel travel to 280mm total (+10mm). Additionally, adjustment is made simpler thanks to the single air pressure valve and supplied fork air pump for preload and easy access clickers for compression and rebound. Bodywork: When scaled down to the proportions of an 85cc rider, the contact points and feeling remain the same allowing the younger riders to feel the same control and comfort found on the larger models. The improved ergonomics instill confidence while also leaving room for free and unrestricted movement thanks to the broader and flatter seat and one piece air filter box cover.